New Slingshot owners may believe that the fuse box is solely for housing the little electrical devices that protect their vehicle from burning out its circuits. However seasoned show goers know that the fuse box is unused real estate for aesthetic enhancements! 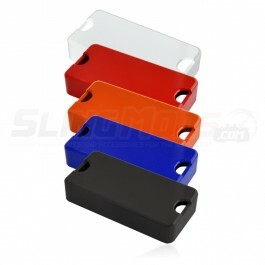 Aftermarket fuse box covers serve to keep an engine as dressed up and show worthy as the rest of the vehicle's body. With a range of colors there is an eye catching option for everyone looking to add those finishing touches to their engine.